Some children live in the shadows of their fathers. Others, like filmmaker and entrepreneur Salim Amin, build on their father’s legacy while standing in a light of their own. The heir to one of Africa’s largest and most renowned television production companies, Salim became the reluctant leader of Camerapix upon the untimely death of his father in 1996. “I was still learning the ropes,” says Salim. “My father’s death at the hands of terrorists put him at the center of an international story. It was a huge loss for our family, and his shoes remain too large to fill.” But that hasn’t stopped Salim Amin from making Camerapix a major media voice in 21st century Africa. From humble roots in a small shop in Dar es Salaam, Salim’s father Mohamed Amin began Camerapix in 1963. With the instincts of a warrior and the heart of a leader, Mohamed Amin built Camerapix into a sustainable, world class organization covering news, features and producing documentaries with a variety of global networks including the BBC, NBC and Reuters. Today, Salim Amin has continued that tradition by helping educate Africa’s youth through the Mohamed Amin Foundation and as a founder of Africa24 Media, a media platform that was dedicated to positive stories about the culture and history of Africa. Recognized in 2007 as a Young Global Leader by the World Economic Forum in Davos, Salim’s leadership has been rewarded. Today, Camerapix works in collaboration with production partners throughout Africa, Britain, Europe, Asia and the United States. New African Magazine has recognized Salim as one of the top “100 Most Influential Africans” and has named Salim among their “Top 50 Under 50.” Salim was one of only 150 global leaders invited to President Obama’s 2010 summit on Presidential Entrepreneurship in Washington DC. 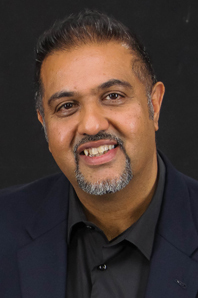 Salim’s work as a producer includes the internationally acclaimed feature documentary Mo & Me, the One.org production of Revisiting Korem, and executive producing the award-winning documentary The Sound Man. As an on-camera host and producer, Salim achieved acclaim across the continent for his production of more than 150 episodes of The Scoop, a weekly half hour series featuring Africa’s foremost voices in art, culture and finance. At it’s peak, The Scoop reached more than 300 million viewers weekly in broadcast and online viewership. Salim published his first book in December 2018 titled KENYA: Through My Father’s Eyes, a coffee-table book showcasing his father’s unique images of Kenya. It is also the first historical book on Africa incorporating Augmented Reality with 12 videos embedded in the pages of the book. For the past decade, Camerapix has worked closely with the US-based Duncan Entertainment Group to preserve and maintain thousands of hours of motion pictures and still photo content featuring Africa, the Middle East and south Asia.